Our team of experts are experienced with a wide variety of roofing solutions. Whatever your roof type, we have the expertise to help you with your roofing needs. 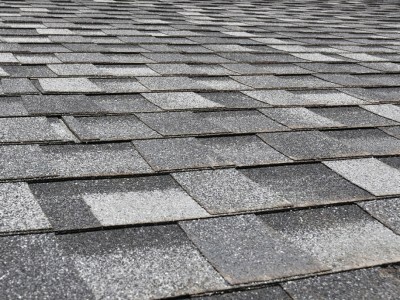 Asphalt/Fiberglass shingles are a composite shingle made from a mat (fiberglass or cellulose), and asphalt and minerals as opposed to just being made of a single material like wood or clay. Modern asphalt roofing shingles have a mat of fiberglass which is covered in asphalt and then coated with granules that will face the weather. The layers of the composite tile work together to form a flexible, but durable and waterproof shingle. Asphalt tiles are now available in a wide variety of colors and styles and can even mimic the look of slate or tile. They also have a lifespan of 15 to 30 years, making them a cost effective roofing solution for your Texas home. Often found on Southwestern or Mediterranean style homes, tile roofs can be beautiful and durable. The individual tiles are molded into a curved barrel shape and interlock during installation helping to reinforce their strength. The tiles can be made of either clay or concrete and while similar in appearance, each material offers its own benefits. Clay tiles are more colorfast and have an average lifespan of 100 years, while concrete tiles are more affordable and are expected to last around 50 years. 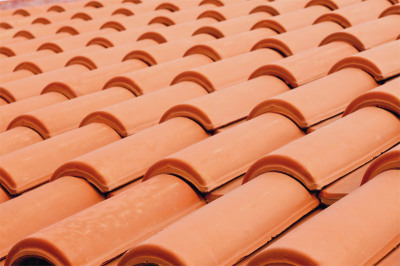 Clay and concrete roofing tiles are available in a wide variety of styles, colors, and finishes. There are also accessory tiles available for hips, ridges, and gables, which can add to the overall roof design. With their longevity and beauty, clay or concrete tiles are a wonderful addition to your home. Flat roofs can provide a number of benefits including increased space and energy savings. Often found on modern buildings, the larger surface area of flat roofs makes them ideal for solar panels, roof decks, and gardens. Flat roofs can be “cool roofs” and constructed with light colored materials to increase heat resistance and provide energy savings. 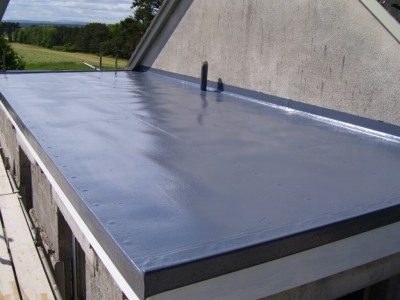 There are also a wide variety of materials available to waterproof and protect single and multi-ply flat roofs which can help to ensure that they remain damage free despite the elements. With proper maintenance, a flat roof can add value and additional space to a home or commercial property. Metal roofs are durable, highly impact resistant, fire retardant, recyclable, and require very little maintenance. They are available in a wide variety of colors and styles. Lighter color metal roofs can help home owners save money on their energy bills as they will reflect much more heat than a traditional asphalt tile roof. 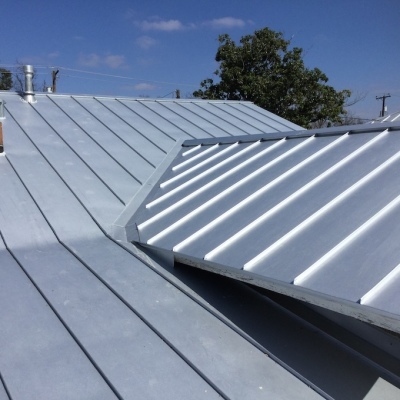 For a modern, stylish roof that will save money on both maintenance and energy costs, metal roofs are an excellent choice for Texas homeowners.